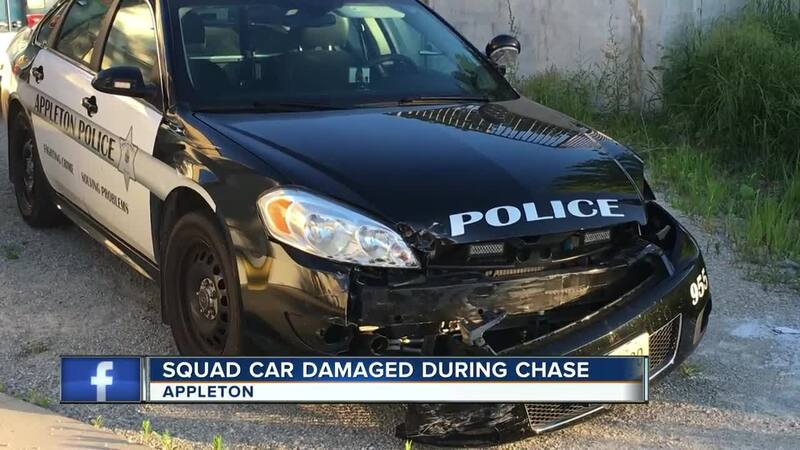 A fleeing driver hit a fence and a squad car in Appleton before being taken into custody. It happened around 10:30 p.m. Thursday on the 300 block of W. Pershing Street. The black vehicle was traveling down the sidewalk of W. Pershing Street 35 miles over the speed limit. The vehicle entered the roadway at N. Appleton Street and continued at a high rate of speed. Officers attempted to make contact on the 500 block of W. Wieland Avenue when he drove over a curb and through a yard. The vehicle drove through a fence before getting on E. Northland Avenue. The suspect vehicle then began to tailgate an Appleton Police squad at N. Meade Street and E. Glendale Street. Additional officers attempted to stop the vehicle by boxing him in. The driver accelerated and turned into the front of one of the squads. The suspect eventually crashed on E. Glendale Avenue and N. Viola Street where he fled on foot. He was apprehended by officers a short time later. NBC26 is not naming the suspect until he is officially charged. The suspect was brought to the Outagamie County Jail.